Jason Knops shot this buck in Iola, Wisconsin on October 22, 2016. We are starting to see some nice buck pictures and submissions come rolling in, including this one from Iola, Wisconsin. Jason Knops shot this buck on October 22 with his bow. 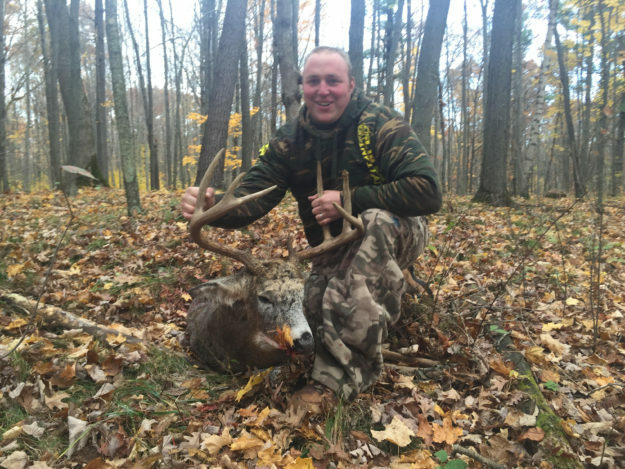 The buck measured a 19 1/4″ wide spread and had 9 points. Nice buck Jason! Be sure to send in your big buck photos and we’ll post them on the site!